This supplement for Rune Stryders, the ORIGINAL Fantasy Mecha Roleplaying Game, provides 8 new runes, their 76 corresponding effects when combined to form complete rune words, and 11 advanced rune words. 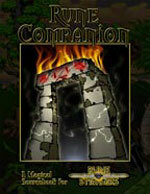 Also includes rules for collaborative runecasting, runic artifacts, inventing new runes, plus 2 scenarios. 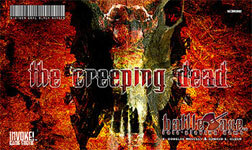 This supplement for the Battleaxe RPG includes information about the undead, Blood Thirsty, orcs, elves, and humans of Maggodsteel and sheds light on the dark secret of Necromancy. New sample spells, equipment, adventure seeds, and adversaries are also included. 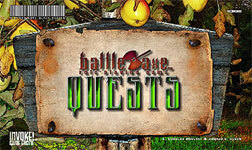 This supplement for the BattleAxe RPG� contains short, ready-to-run adventures for your party�s Friday night fights. "Inside" is a parting shot from the corpse of cyberpunk before it hits the floor. Melding Sorcerer's rich rituals with Unix hackery, Inside is the ultimate game of bending the world to your will. 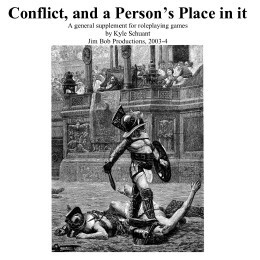 This is a discussion of the different aspects of conflicts, and roleplaying in them. It tells us that killing is not an easy thing to do in reality, yet people and societies do it, because it's part of conflicts. Conflict makes up a significant part of the stories presented in film, literature, and roleplaying games. At times, violence is presented as a resolution of this conflict. You're not going to be able to run adventures directly out of this. But what it does do is give you some things to think about for some "realistic" roleplaying, and GMing of "realistic" game worlds. 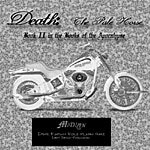 This comprehensive work covers all aspects of death, from birth, to life, to the grave, to mourning, to the afterlife, and onto Undeath. 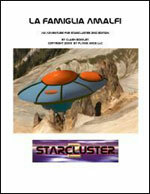 It also covers poisons & drugs, legacy & secondary characters, Changelings, necromancy, essays on death, and more. 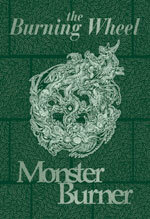 The Monster Burner is NOT just another monster book. It gives you the tools you need to tinker with the very core of the Burning Wheel system! 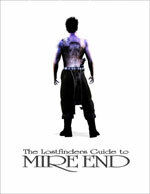 'The Lostfinders Guide To Mire End' is the first supplement for the a|state RPG, with 32 pages packed full of information about the impoverished burgh of Mire End. With highlighted locations, significant NPCs, important organisations and seven adventure nuggets, the guide delves deep into this benighted place. 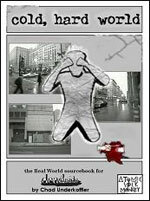 The Real World supplement for the DEAD INSIDE RPG. 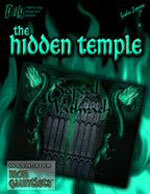 "The Hidden Temple" is a classic dungeon crawl for the "Iron Gauntlets" game from Politically Incorrect Games. It features new material to enhance the IG experience, and new challenges for your players! Generic Locales gives you a generic community to insert into your fantasy game. 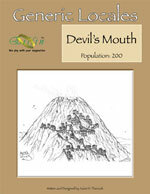 This product provides you with a basic overview of Devil's Mouth (population, races, location, and history), gives you detailed information on a few people and places of interest within the community, and then provides additional notes on the community to help game masters bring the community to life in their campaign. 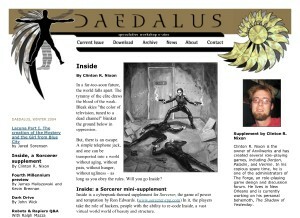 Undiscovered Q&A is an e-zine styled supplement for Undiscovered FRPG. 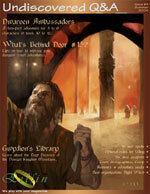 This issue has a dwarven theme and contains a 2-part adventure, a series of tips on improving your dungeon crawls, and more! 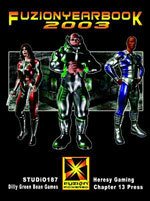 "Places to Go, People to Be" is an internet fanzine devoted to role-playing and role-playing games. It is put together by gamers, for gamers and contains what we believe to be the highest quality material about our games available. It is dedicated to gamers everywhere, and in particular to those in Australia and Brisbane.